350 BC (Before Columbus) in the land between Niagara and the Great Salt Sea, in a world where no Europeans had set foot, there lived Five Great Nations caught up in a cycle of bloody revenge wars until a holy man showed them the path to peace. 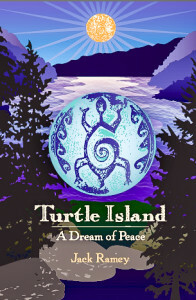 Set in a matriarchal culture in the lake region of New York, Turtle Island takes the reader back to a time when people respected the Earth as the mother of life and based their democracy on what it means to be a true human being who cares for Mother Earth and the welfare of her unborn children. The novel deals with profound issues of family, spirituality, war, peace, democracy, and the nature of good and evil. 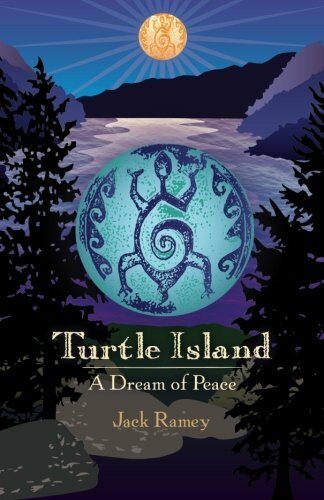 It has a special appeal for any reader interested in history, feminism, Native Americans, spirituality, ecology, or a bloody saga of murder and revenge. This quest for spiritual healing and peace has a powerful message for the modern world immersed in similar revenge wars and a divisive struggle to protect the resources of the earth for future generations. Longhouse, which led to the creation of Turtle Island.